Dallas is well known as the home of innovative chefs like Stephan Pyles and Dean Fearing, landmark restaurants like the Mansion, and a culinary climate of innovation that goes back to the days of the famed Helen Corbitt at Neiman Marcus’ Zodiac Room. In recent years, a proliferation of creative chefs has enhanced Dallas’ reputation as both proving ground and dining destination for everything from contemporary Italian cuisine to ramen and imaginative chocolates. But Texas barbecue? Not as much. Find recipes for Pecan Lodge’s collard greens, Lockhart Smokehouse’s deviled eggs, Slow Bone’s horseradish cream potato salad, and Ten 50s jalapeño torpedoes. Pecan Lodge is at 2702 Main St. in Dallas. Opens 11-3 Tuesday-Thursday; 11-10 Friday-Saturday; 11-3 Sunday. Call 214/748-8900. Lockhart Smokehouse is at 400 W. Davis St. in Dallas and 1026 E. 15th St. in Plano. Call 214/944-5521 for Dallas and 972/516-8900 for Plano. Opens daily for lunch at 11 a.m. (until sold out) and for dinner at 5:30 p.m. (until sold out). The Slow Bone is at 2234 Irving Blvd. in Dallas. Opens daily 11-3. Call 214/377-7727. Ten 50 BBQ is at 1050 N. Central Expressway in Richardson. Opens daily 10:50-2:30 for lunch and 5-8 for dinner. Call 972/234-1050. That is, at least, until the arrival of a new wave of pit masters and entrepreneurs who revere wood, smoke, and tradition. The hallmarks of this new wave reflect the best of Texas barbecue: Brisket is king, smoked on site in massive, wood-fired pits for 12 or more hours, creating a smoky aroma and tantalizing crunchy bark. The meats are seasoned with dry rubs, sometimes complex though not exotic, and always comforting. The meaty and moist ribs practically melt in your mouth, requiring napkins, but no sauce. The savory sausages are stuffed in taut casings that when cut, offer an audible snap and juicy interior. And, the fan base is devoted, willing to wait in line rather than miss out on the day’s limited batch of smoked meats. 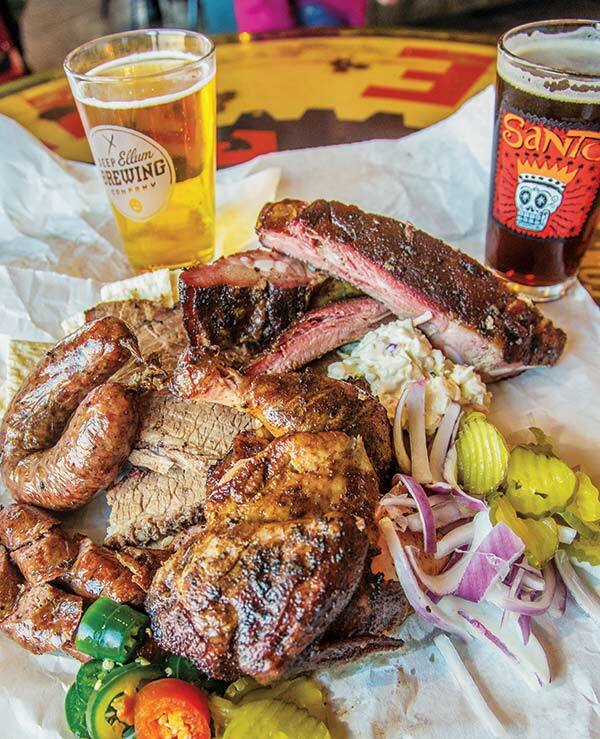 The vanguard of the new crop of traditional, wood-smoked purists is Pecan Lodge, a wildly popular enterprise that opened in the Dallas Farmers Market in 2010 and moved to Deep Ellum last year. 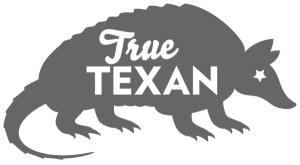 Others followed: Lockhart Smokehouse in the Bishop Arts District and Plano, The Slow Bone adjacent to downtown, and most recently, Ten 50 BBQ in Richardson. Dallas wasn’t a barbecue wasteland before Pecan Lodge. The late “Sonny” Bryan Jr. began smoking his signature ribs in 1958 near Parkland Hospital; business executives and blue-collar workers still crowd into vintage school-desk seats there. Near the original Sonny’s, Mike Anderson’s BBQ House, founded in 1982, packs in lunchtime diners. Odom’s Bar-B-Cue, a family business since the 1930s, draws customers and accolades at its two locations in West Dallas and Duncanville. 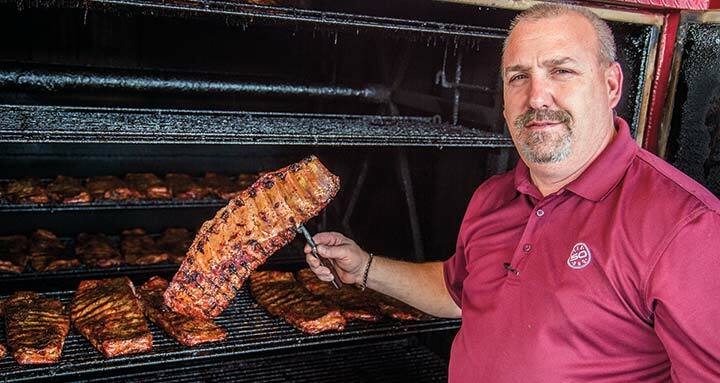 And in 2008, Dwight Harvey, a South Dallas backyard cook, retired from a 38-year career in finance at Frito-Lay and opened Off the Bone Barbeque in the shadow of downtown, drawing fans for his signature baby-back ribs—and proving, Perkins says, that a neophyte restaurateur could be successful with traditional barbecuing techniques. Refugees from jobs in management consulting, Justin and Diane Fourton concede they were ingénues when they started selling brisket sandwiches in a Jiffy Lube parking lot in 2009. Still, their dream was catering Southern comfort food, including fried chicken inspired by Diane’s grandmother’s recipe. They found what they thought would be a sustainable base in Shed No. 2 at the Dallas Farmer’s Market the next year. By 2012, The Food Network visited and the stand’s popularity swelled. Then, the city sold the Farmer’s Market to private investors in 2013, prompting Pecan Lodge to move to Deep Ellum. 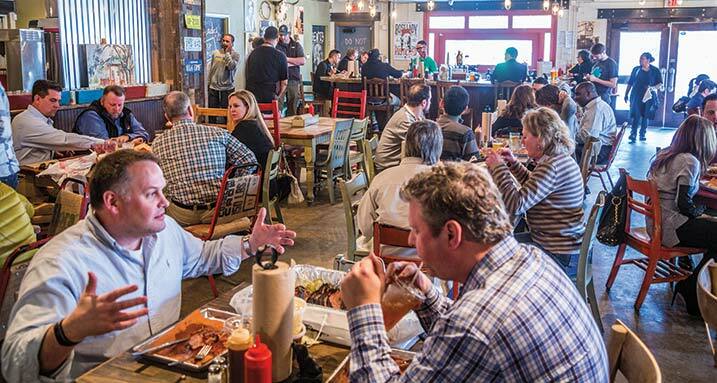 The inspiration for Lockhart Smokehouse is implied by its name—the Central Texas barbecue capital of Lockhart, home to Kreuz Market, Black’s Barbecue, and Smitty’s Market. Owner Jill Bergus’ grandfather was Edgar “Pappa” Schmidt, who operated Kreuz (pronounced “Krites”) from 1948 until the 1980s. Copying Kreuz, Jill and her husband Jeff tried not providing forks. True, the 8-inch spare ribs can be eaten with fingers, but the Dallas market was a bit more fastidious about the brisket. There are now forks. Lockhart Smokehouse has preserved the Kreuz tradition of displaying the cooked meats in full view for customers as they order, with servings priced by the pound. “Your eyes get to eat before your stomach does,” Jill notes. The fatty beef exemplifies the “slow and low” cooking method—slow cooking and low heat. The pit masters smoke the brisket for 12 to 18 hours using post oak, pulling it only when it demonstrates the “jiggle,” the subtle shivering of the whole slab when poked. Lockhart also offers non-barbecue alternatives as specials. “We’re as old school as we can make it,” says Jill, “but we like to keep it fresh with different ideas.” Examples include smoked salmon, double chile-rubbed pork tenderloin, and “Holy Cow Jalapeño Bacon Mac ’n Cheese,” which show the influence of partner Tim McLaughlin, a classically trained chef turned barbecue maestro. Along with his brisket, sausage, and pork ribs, Perkins, who also owns the popular Dallas hamburger joint Maple and Motor, touts the smoked fowl, considering the possibility that customers do not live by beef and pork alone. The sausage comes in “Old Style,” peppery and coarse, and a softer, almost buttery “Smoked Cilantro.” The sides include the standard slaw, beans, and potato salad, Lockhart Smokehouse but you might be open-minded and opt for the Brussels sprouts, cauliflower au gratin, or sweet-potato casserole. For extra-juicy brisket, the carver holds up the uncut slab to let the juice drip onto a piece of foil. Fashioning what looks like a pastry bag with the foil, he dribbles the liquid back into the brisket before slicing. Perkins emphasizes age with his brisket, something high-end steak houses advertise, but not a common theme in barbecue. Seeking the oldest briskets available from his supplier, he believes the meat’s enzymes break down during storage, making the brisket more tender and flavorful. 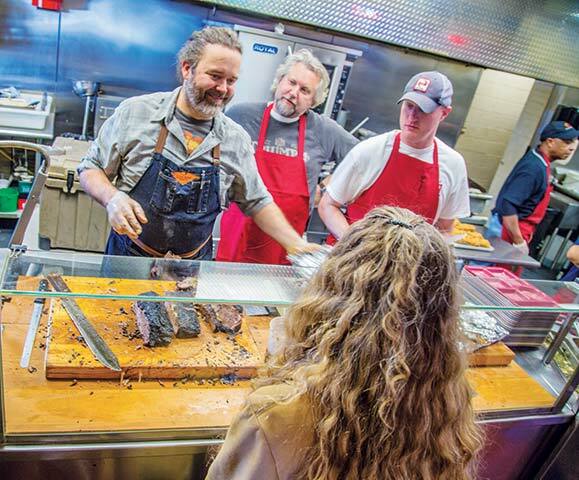 Larry Lavine is in a comfort zone, sitting among diners and greeting customers at his latest brainchild, Ten 50 BBQ, which opened in 2014. He brags on his wife’s banana pudding, although he concedes it resulted from broken crust of a banana pie. The founder of Chili’s, Lavine possesses three behemoth smokers and a core belief in Texans’ food habits. An attraction at Ten 50 is the pork ribs, which are smoked with hickory, instead of the oak used for brisket. The restaurant also serves smoked turkey and chicken, as well as two sausage options—a special blend from Meyer’s Elgin Sausage and a smoother grind with cheese and jalapeño produced by Tyler’s Country Meat Market. 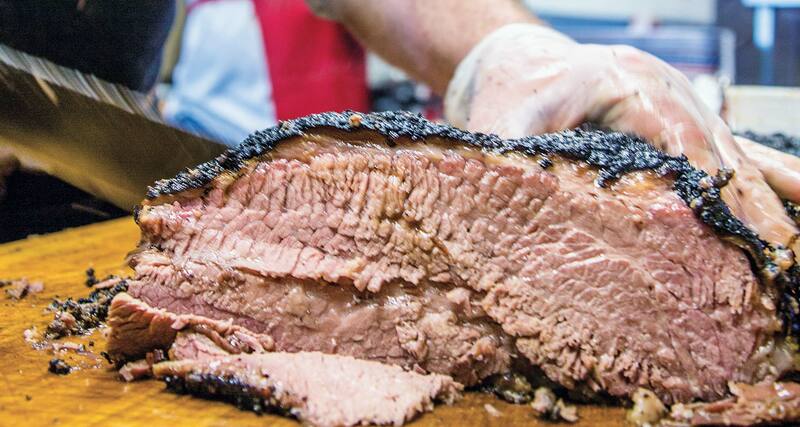 Even so, Lavine believes success or failure in Texas depends on the quality of the brisket, and his carvers offer top-shelf lean, medium, and fatty cuts. Ten 50 provides sauce because some customers demand it, but given the meat’s exquisite rendering, it’s extraneous. 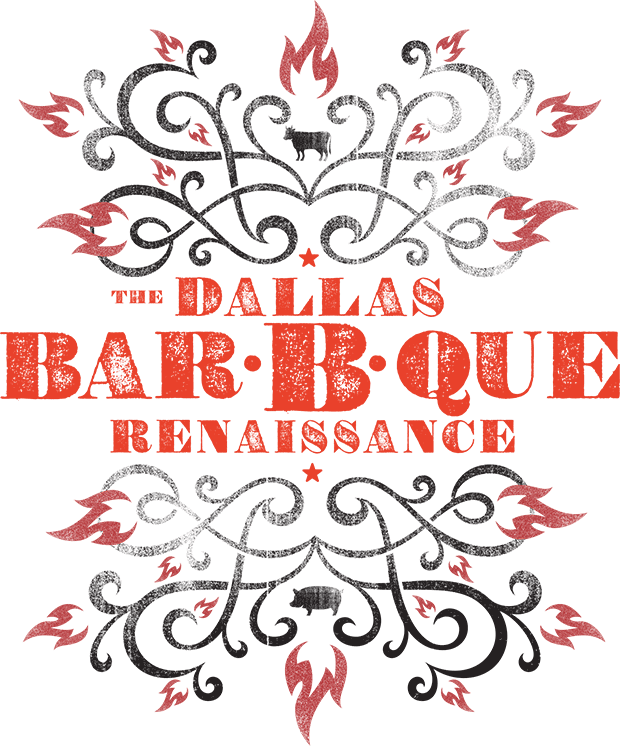 All the more reason to put a lasso around Dallas if you want to broaden your Texas barbecue experience.